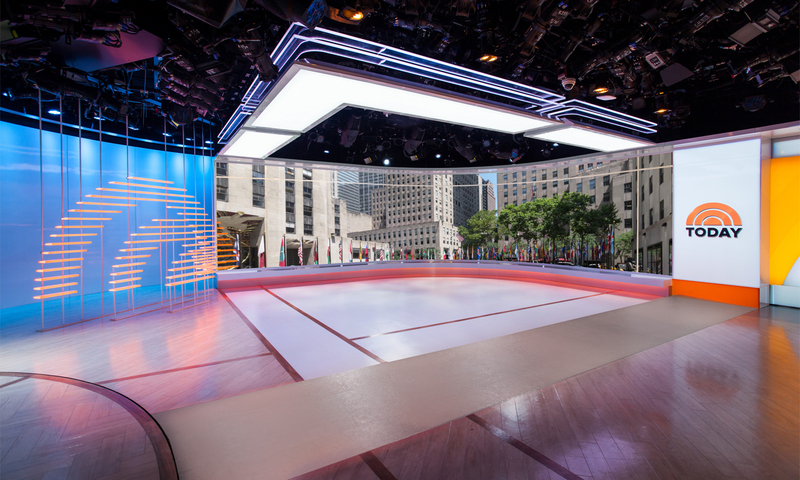 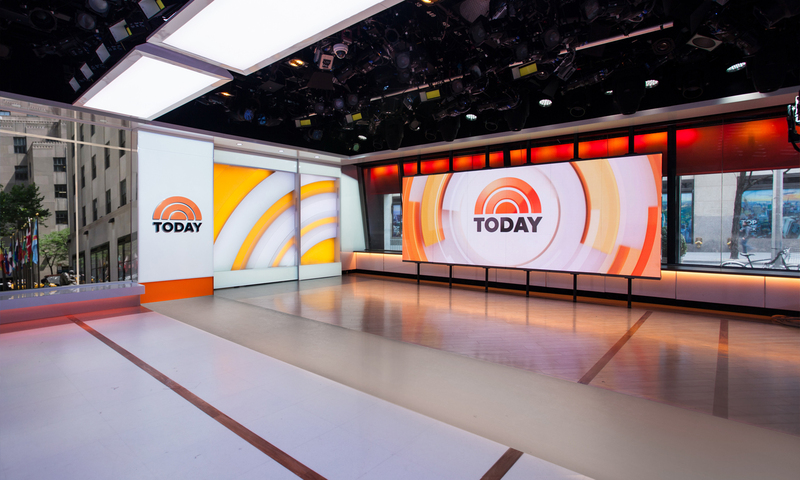 The renewed TODAY Show studio design aims to strengthen the shooting axis opposite and complementary to its main, Rockefeller Plaza-facing window axis, and it also seeks to visually unify the space, tying into existing program areas while using a more modern, minimalist vocabulary. 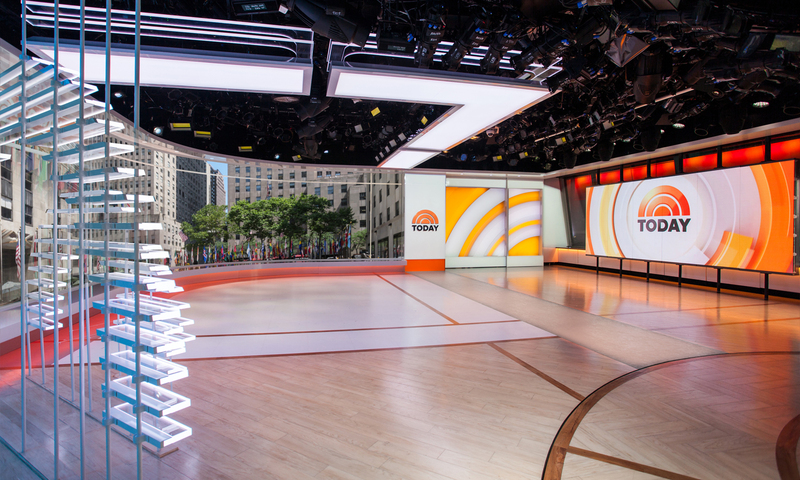 A central 40-ft arced LED vistawall provides ultimate content flexibility and is flanked by abstractions of the show’s iconic sunrise logo. 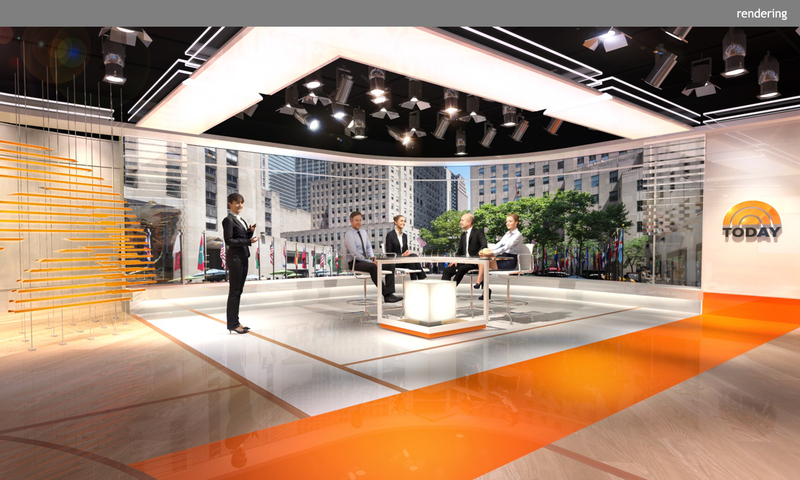 One end features layered lightboxes which track to allow talent and production entrances, and the other is an installation of individually-controlled LED slats which forms a compelling background to composed shots and provides a visual transition to existing, adjacent areas of the set. 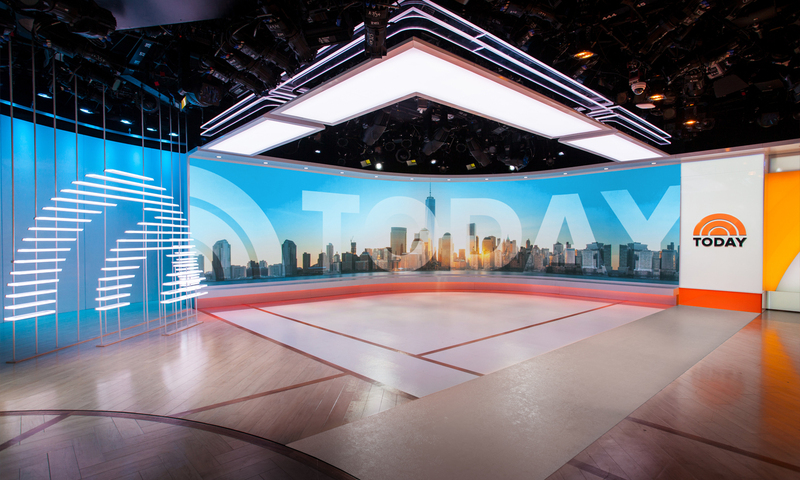 A clean, stretched-fabric lightbox canopy with edge-lit acrylic planes above not only creates a lighter zone within an otherwise dark ceiling but also clearly defines the studio’s new vistawall shooting axis.